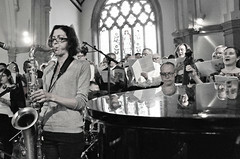 Our gorgeous paean to music and reconciliation. 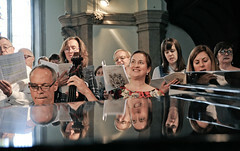 2014 marked the 100th anniversary of the start of World War I, and up and down the country amateur orchestras and choirs prepared commemorative concerts. Vox also marked this anniversay, not by singing a war requiem or a medley of popular wartime songs, but by celebrating harmony across the ages. 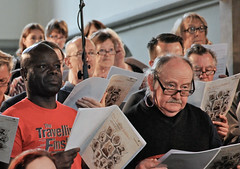 Drawing from the works of composers from Germany, Austria, and England, the 70-strong choir Vox Holloway explored the concept of universal harmony that formed the basis for making music for over two thousand years. 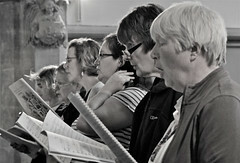 The choir was joined by a 20-piece baroque orchestra and acclaimed guest tenor soloist Simon Walton.